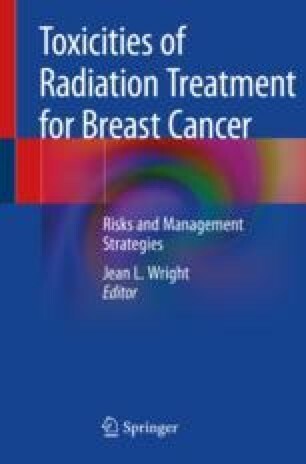 This chapter explores the risk of second malignancies after breast radiotherapy. Meta-analyses of registry studies and randomized controlled trials have shown an elevated risk of in-field malignances after adjuvant radiotherapy for breast cancer. The relative risk increases with increasing latency post radiotherapy. The scientific literature evaluating the risk of lung cancer, esophageal cancer, sarcoma, and contralateral breast cancer in the context of patient-specific risk factors is explored in detail. The risk of second malignancy based on radiotherapy technique is also reviewed.